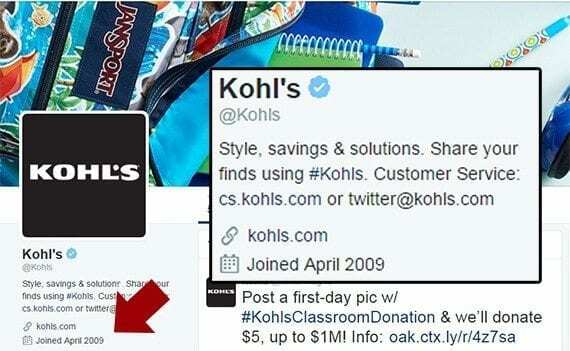 Kohl’s has been marketing on Twitter since April 2009. Many well-known retail brands use Twitter to connect with shoppers, offer deals, and market the items they sell. Those brands can inspire small retail businesses to market with Twitter, too. For some consumers, Twitter is the go-to place to get news or to feel the pulse of an industry. Want to find out what’s going on right now? Check Twitter. But that immediacy can make Twitter’s fast-moving stream challenging. Fortunately, you can be successful by focusing on images, tweet times, content, and conversations. Here are five Twitter marketing suggestions for your business. The old idiom “a picture is worth a thousand words,” is not literal. Rather, it describes the concept or idea that pictures, graphics, and diagrams can communicate complex ideas. It may also be the case that images are easier to remember than words. Sometimes it is simpler to show a picture of something than it is to describe it. This may be especially true when the thing being described is meant to evoke an emotional response and the medium for communication — Twitter — limits you to just 140 characters. Consider clothing retailer, Abercrombie & Fitch. The company posted 14 public tweets during the seven days from Sunday, August 21 to Saturday, August 27, 2016. These 14 tweets included 16 lifestyle pictures. The pictures showed Abercrombie & Fitch products and the lifestyle its customers desire. Abercrombie & Fitch includes images in nearly every tweet. Similarly, Home Depot tweeted eight times during the same period. Three of the eight tweets were retweets mentioning Home Depot. The remaining five included imagery, including three videos. The lesson is simple: Use images and video on Twitter. 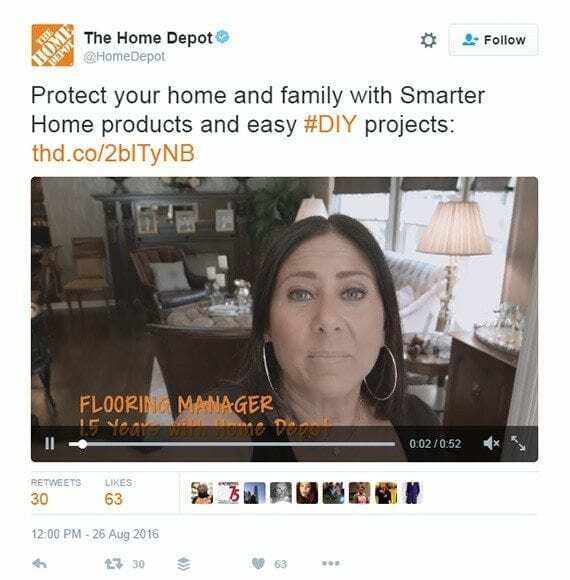 Home Depot uses images and video in its tweets. Schedule tweets to encourage engagement. In 2012, Salesforce released a good PDF whitepaper about Twitter marketing. Among the suggestions and findings, Salesforce noted that in the clothing and fashion industry, about 12 percent of tweets from brands occurred on weekends, but that engagement was about 30 percent higher on Saturday and Sunday versus the rest of the week. Tweet when your potential customers are most likely to engage. Clothing brands, in other words, can do a much better job of communicating with potential shoppers if they simply schedule their tweets better. There can also be differences during the day. One store’s shoppers may be more likely to read tweets in the morning, while another store’s shoppers may be more active in the evening. 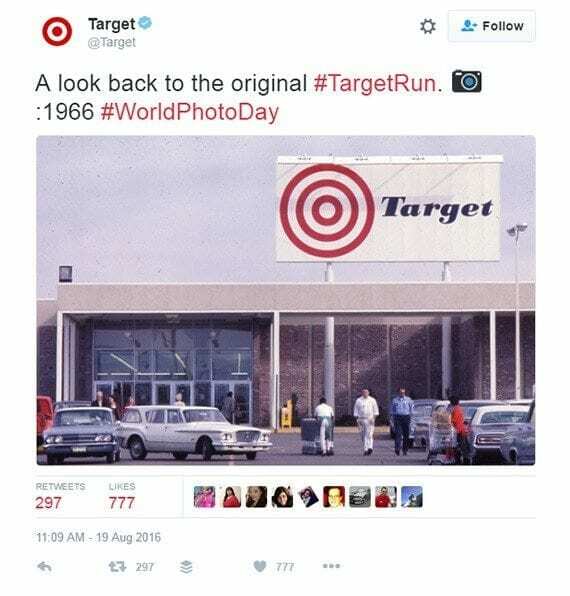 As an example, a recent Target tweet published at about 11:00 a.m. on a Friday garnered more than 770 likes and nearly 300 retweets, which is relatively good engagement for Target. When a company tweets can impact the sort of engagement a tweet gets. This Target tweet was apparently timed well. The lesson here is to test when tweets tend to get the most attention and schedule Twitter marketing to match those times. This is good advice. While it can make a lot of sense to promote sales, contests, or similar on Twitter, that promotion needs to follow a good content strategy. Multi-channel retailer CVS Pharmacy can serve as an example. The company tends to mix money-saving offers with questions meant to engage. CVS Pharmacy tweets interesting content, such as questions and offers. 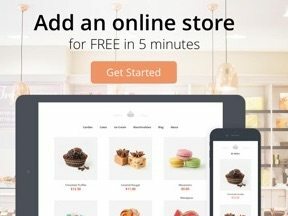 The lesson here may be as simple as having a tweet plan that combines good content with useful sales and discounts. As with any marketing, monitor performance so that you can learn what works best for your business. Twitter can be a good tool for customer service and for customer engagement. So, respond when folks mention your business in a tweet. This could include retweeting a positive message or responding to a positive post. Here is an example from Nike. At 3:24 p.m. on Sunday, August 28, 2016, a Nike customer posted a picture of several articles of Nike clothing. “Yes I have a problem, but at least I’m encouraging myself to go the gym,” the tweet read. 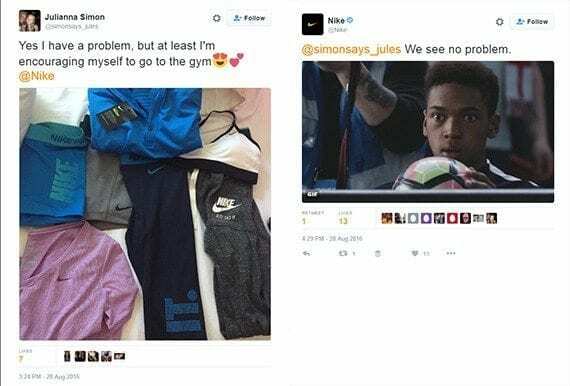 Nike interacts with its customers on Twitter. Interactions on Twitter do not need to be complex, but when folks tweet about you, look for opportunities to acknowledge them. The final Twitter lesson from well-known retail brands is that it takes time to develop a following. Consider how long some of these brands have been tweeting. It takes time to build a following on Twitter, particularly if your brand is not well known. Be patient. Twitter (and social media marketing generally) takes time.